Microsoft’s Surface lineup fans have been waiting for the Surface Phone for quite some time. However, the latest rumors reveal the fresh details regarding the upcoming foldable phone. The project is named as Andromeda, and its early prototype units are already being shipped out to Microsoft’s partners for testing. The Redmond based tech giant is said to boast a Qualcomm Snapdragon 845 processor. The rumor says that the Surface Phone will feature an ARM port of the Windows 10 Core OS, and will use the recently revealed Polaris desktop shell. The combination of Windows 10 Core and Polaris means that the Surface Phone will have a variable user interface, which can function as a desktop. Windows 10 Core and Polaris both are centered on using Universal Windows Platform apps and the apps built on this platform are agnostic when it comes to processor architecture. These apps will run easily on Qualcomm Snapdragon 845 as we see running on a desktop-grade Intel Core i7 processor. Laptops running a full version of Windows 10 were launched back in December by HP and ASUS. These run on Qualcomm’s Snapdragon 835 SoC and are fully capable of running x86 code. The laptops use Windows 10 S that is an OS, which cannot run normal Win32 EXE files and only uses UWP apps. Both of these can be upgraded to Windows 10 Pro that means they will use the Snapdragon 835’s x86 emulation to run legacy Win32 apps, although their performance will probably fair in comparison to devices with x86 processors. It should be noted that this information is only a rumor until Microsoft confirms it officially. 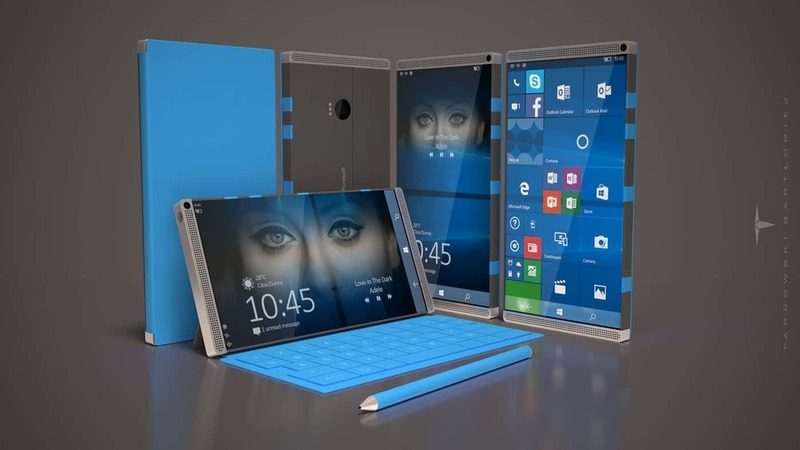 However, there were several leaks and reports in the past which confirmed the existence of Microsoft Surface Phone or Andromeda. Stay tuned with us for more updates.